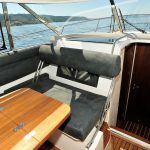 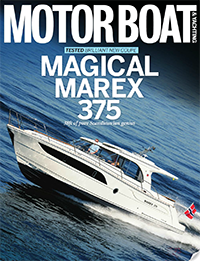 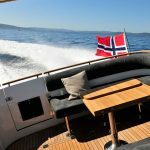 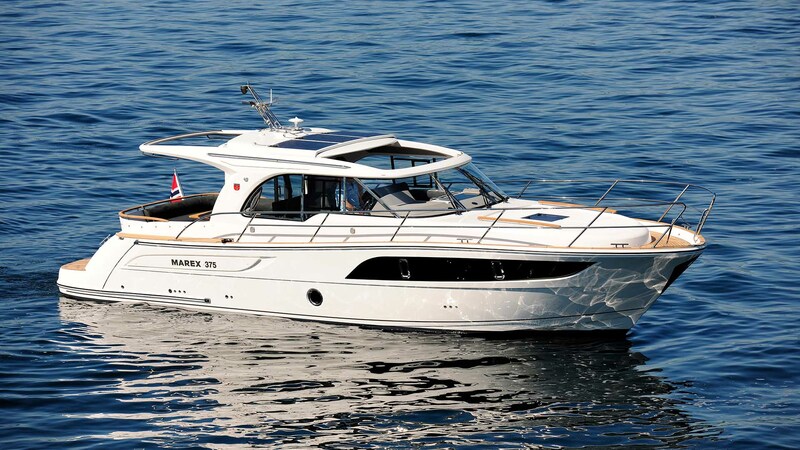 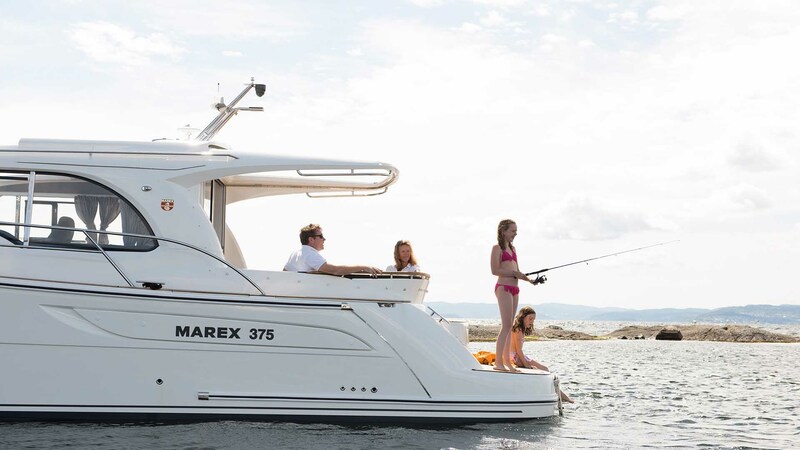 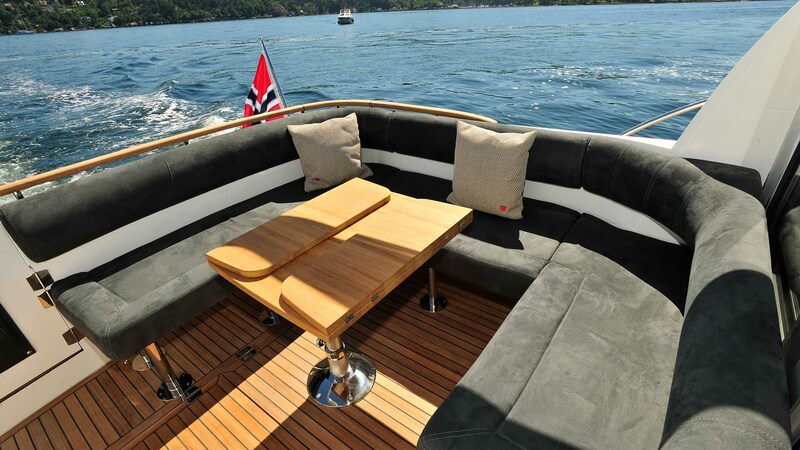 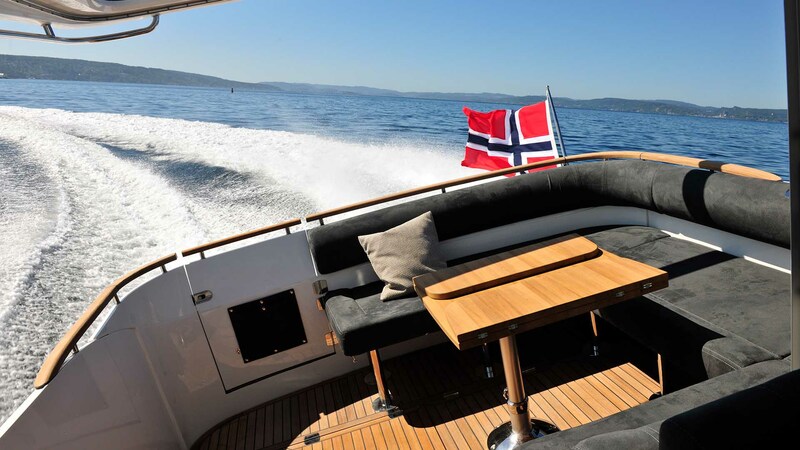 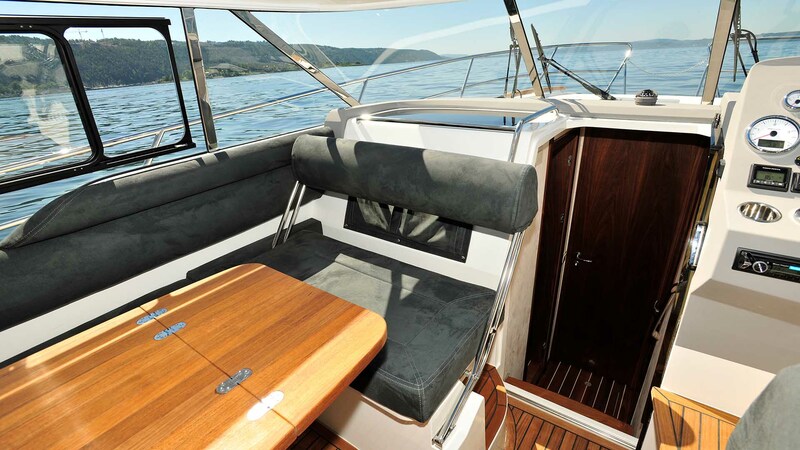 The flagship 375 is so crammed full of uniquely clever features it has to be seen to be believed. 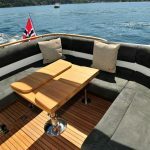 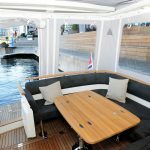 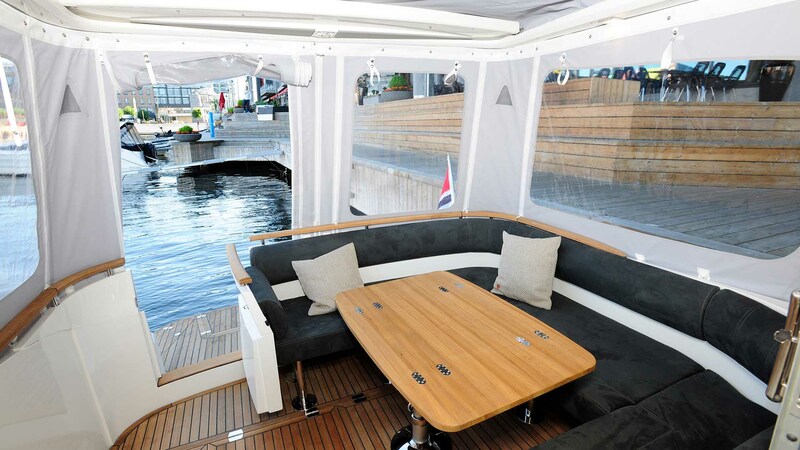 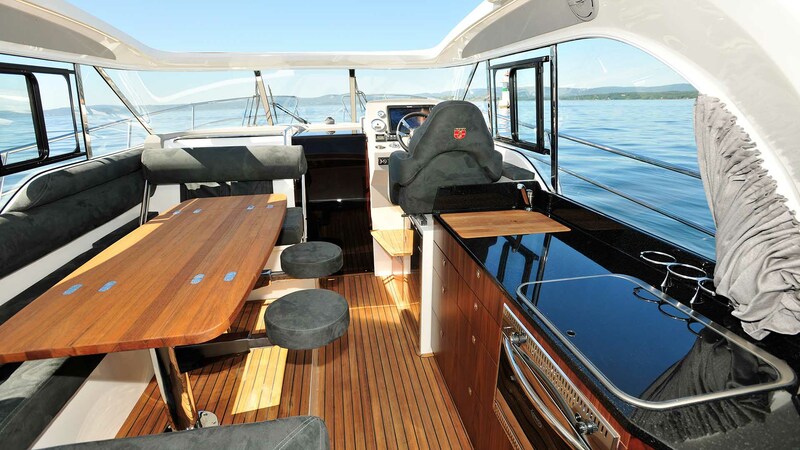 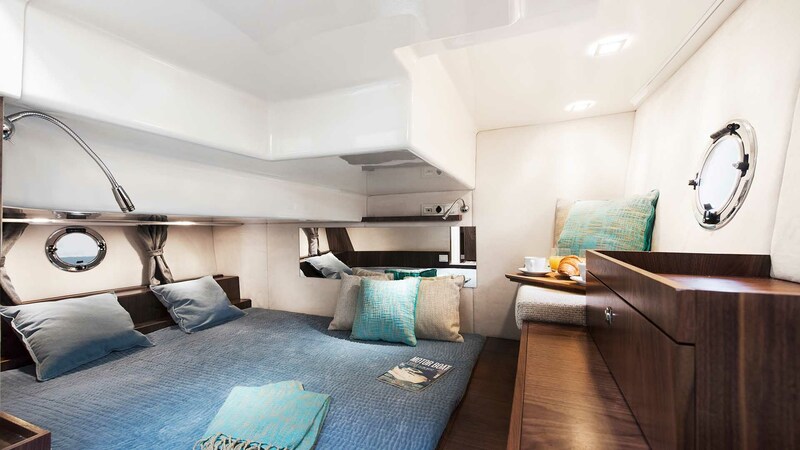 The deck layout includes class-leading cockpit space with both inside and outside cockpits linked by sliding “patio” doors through to a comfortable wheelhouse with sliding hard top. 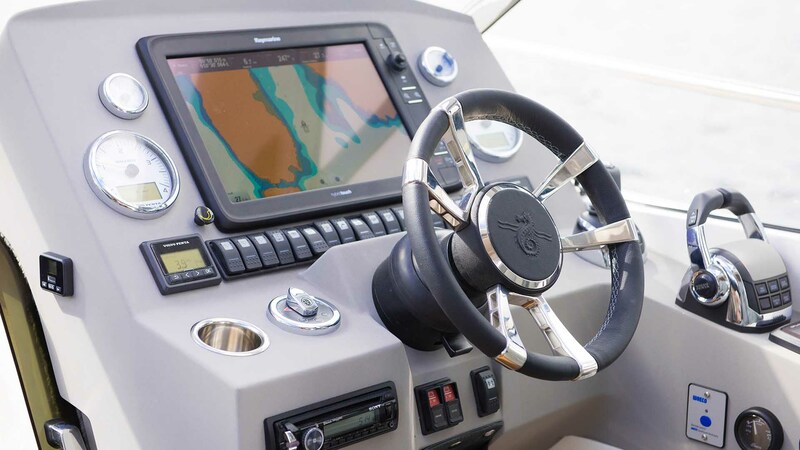 The aft cockpit features the ground-breaking “curtain cover” system for the ultimate in stress free cover operation. 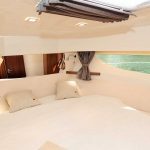 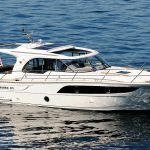 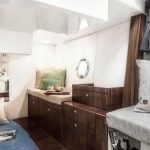 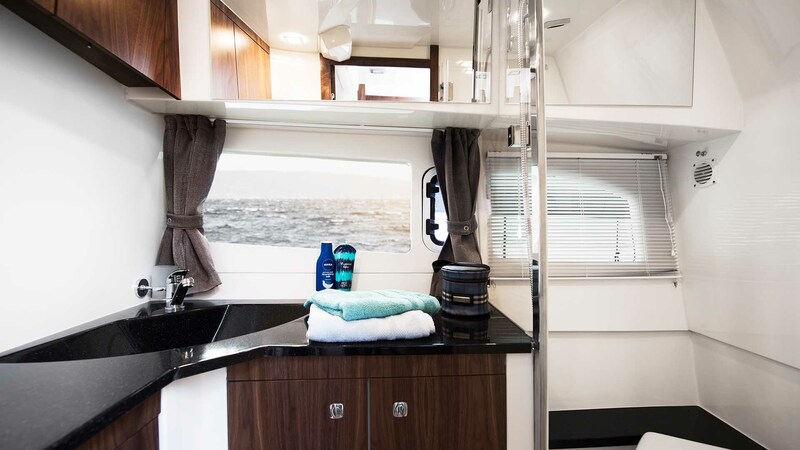 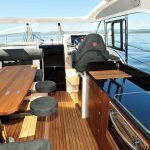 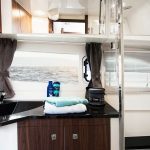 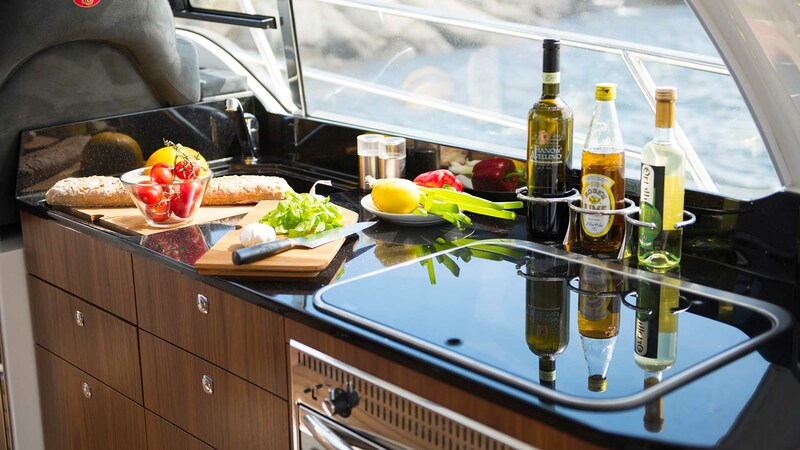 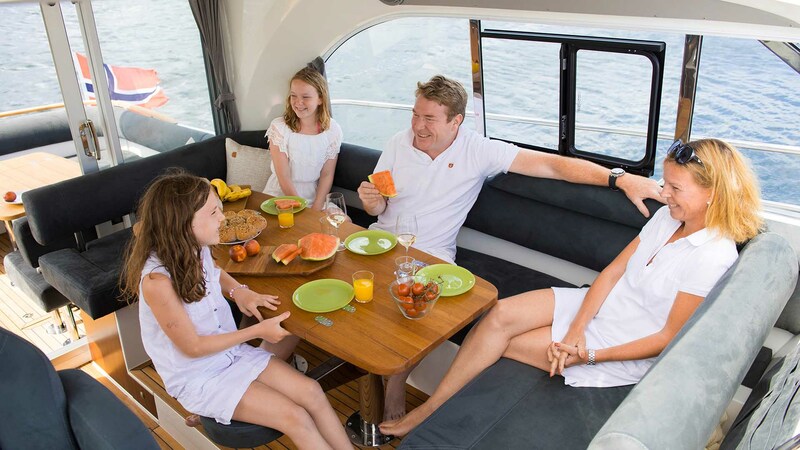 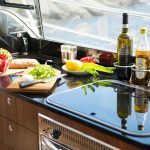 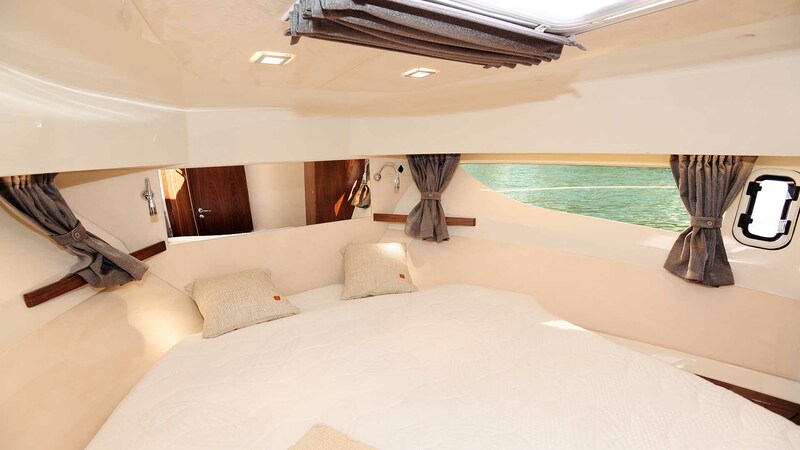 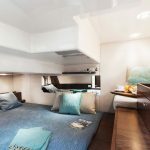 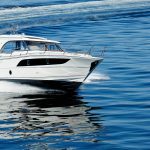 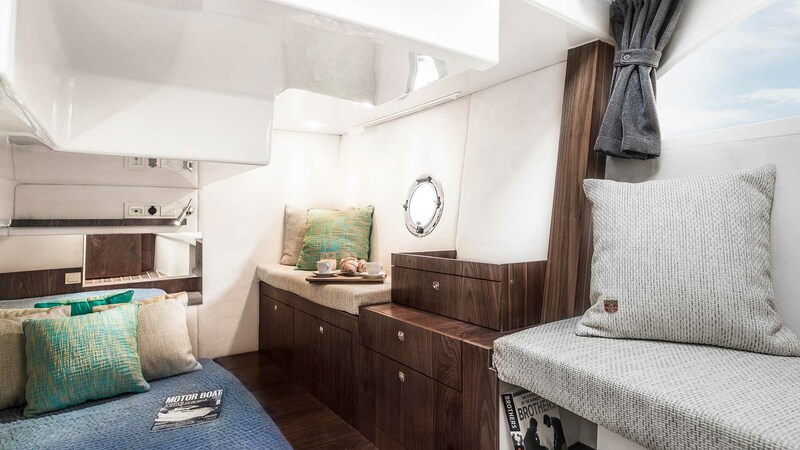 Below decks, the 375 benefits from two huge double cabins, the emphasis is on light and space throughout, and this continues to the well-appointed toilet & shower room. 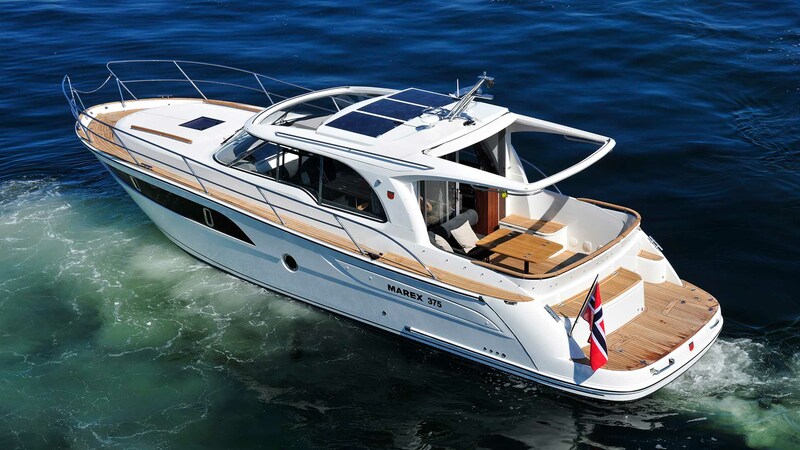 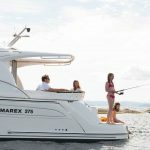 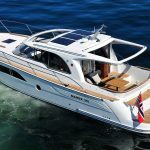 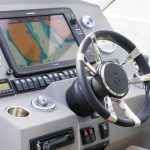 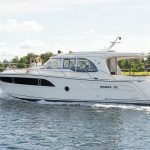 Further clever features include opening side decks for ease of fender storage and various solar panel options for domestic power. 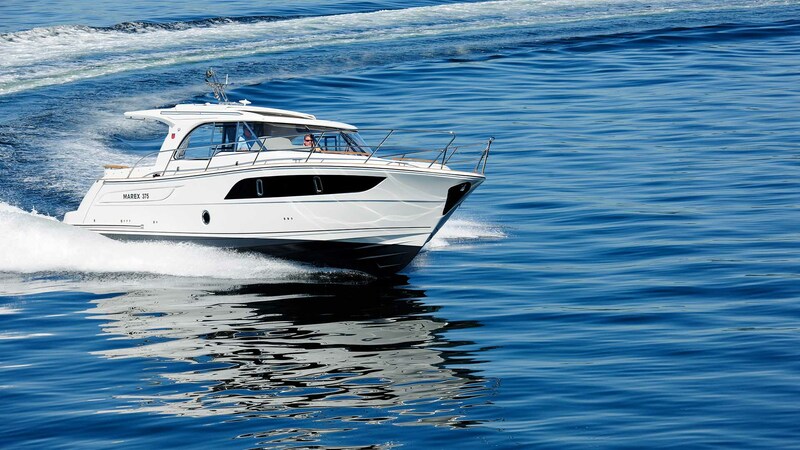 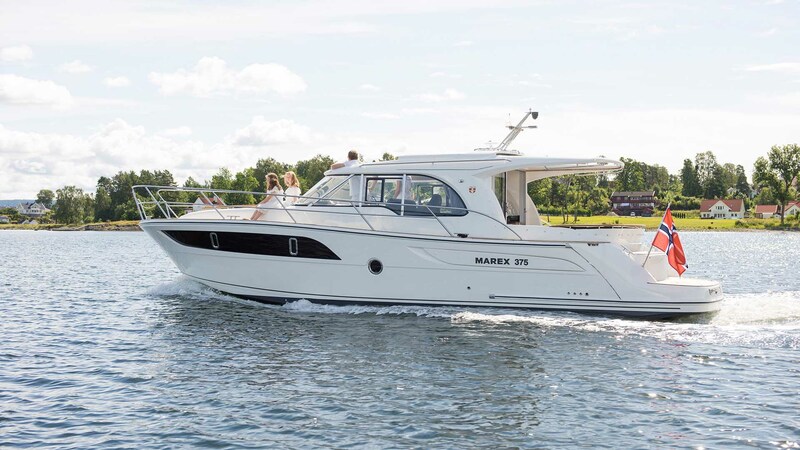 Performance is also a strong attribute of the 375 with a choice of either sterndrives or vee-drives.